The first thing one thinks of when hearing the term bullying is schoolyards or cyber bullying, but when these bullies grow up, they often become bullies in another environment: the workplace. The statistics are alarming – 40% of Canadian employees have experienced one or more acts of workplace bullying at least once a week for the last six months; a staggering 74% of employees have been bullied at some time in the workplace, and 75% of employees that have been bullied leave their workplace! The result of this bullying can have a devastating impact on your workforce with decreases in productivity, an increase in employee turnover, an increase in absenteeism, an increase in health issues ranging from depression to harming oneself or others, an increase in legal costs, workers compensation, or management time, and a decrease in company morale. 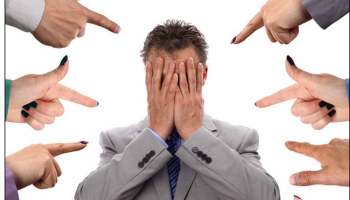 Besides the stigma of workplace bullying, many employees are hesitant to report it to their HR departments because they might be concerned of the repercussions, or of being labelled a whistleblower, or of their perpetrator, particularly when their manager is involved, making things even worse for them at work. Although we are more likely to laugh off an insult or comment at work or to treat it as a personality trait (particularly when a boss or manager is verbally offensive to you at work) but the fact is, it is bullying and it won’t stop until you do something about it. It seems there is a very fine line between a strong management style and bullying, but if you are feeling repeatedly mistreated, then chances are you are being bullied. Employers often treat bullying and harassment as one and the same, however they are different: workplace bullying is repeated, unreasonable and unwelcome behaviour directed towards an employee or group of employees that creates a risk to health and safety. Workplace harassment is unwanted behaviour that offends, humiliates or intimidates a person, and targets them on the basis of a characteristic such as gender, race or ethnicity. Create a protective environment for employees that will foster positive and respectful relationships. Employees need to feel safe at work. Develop an internal anti-bullying workshop to create awareness of the issue, teach people social and emotional skills, post applicable company policies in visible areas, and develop team-building exercises. Provide support (third party EAP counselling) to those who may be affected by workplace bullying and take active steps to stop it from occurring again. Create a bullying response process to ensure everyone in the organization responds in an appropriate way when they see bullying or conflict occurring. Provide intervention and prevention programs. Create anti-bullying policies and procedures. When is bullying acceptable? Never. Whether it is in the schoolyard, online, or at work, there is no situation in which an individual should be made to feel harassed, ridiculed or inferior. Make sure your organization does the right thing and takes actions towards creating a safe and collaborative environment. If you have an anti-bullying policy at work, does it go far enough in protecting your employees? If there isn’t one in place, do you know what steps to take towards implementing an anti-bullying policy? I look forward to a lively discussion on this topic. Categories: bullying, EAP, Wellness, Workplace | Tags: bullying, canadian, Harassment, self-harm, workplace bullying, Workplace wellness | Permalink.